One for developers here, as Substance Designer 6 [Official Site] the '3D Material Authoring and Scan Processing Tool' has seen a day-1 Linux release. 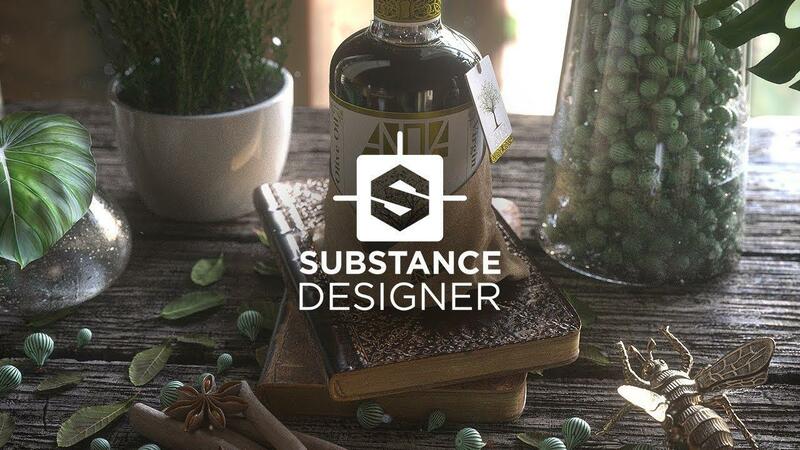 Quote Substance Designer is the Ultimate 3D Material Authoring and Scan Processing Tool. Create materials with full control and an infinity of variations. Fantastic to see more high quality tools get a Linux version. This tool can export textures in a number of formats for use in Unreal Engine, Unity and plenty more. - Text Node: This dynamic node can expose 3ds Max parameters on .sbsar files, helping artists apply embossing, stamping, and glow effects just like they would in Photoshop. - Curve Node: A new node allows for the creation of complex curves, perfect when designing intricate structures like moldings, spirals and circular windows. - New Scan Processing Tools: New filters like crop, smart clone and auto-tile ensure A-to-Z material creation from 3D scans. - 16 f and 32 f Engine: Allows for the creation of HDR textures by extending the range of color and light values with a floating value. - 8K Bakers: Users can now bake up to 32K using non-square ratios or stop assets mid-bake, providing greater flexibility with designs. The only issue I have with it is the cost. I don't like the feeling of "renting" your software. It costs $19.90/month for the indie license or $99.90/month for the pro license. I miss the days of buy once per major version. Subscription model is how you do DRM these days. it's really really similar to the included material editor in the unreal engine.. I think it's not worth the cost. sigz it's really really similar to the included material editor in the unreal engine.. I think it's not worth the cost. How is the Unreal editor for Linux these days? Is it starting to be a bit more stable and fully working? Braqoon Subscription model is how you do DRM these days. You could just buy it - or pay for 1 month of live and then pause your subscription. I don't really understand the problem? I was in an argument on a YouTube comment thread about the viability of Linux, and the person complaining that Linux didn't work for them specifically complained that this software wasn't there. Well there goes another reason NOT to use Linux. It's great to see things picking up. Now maybe if hell freezes over we will see Photoshop for Linux. Subscription (or lease) is nothing new. It has been used by professional software for decades. Usually by stuff that costs tens of thousands per year though. I have arranged with proprietary games for the time being. Accepting all sorts of proprietary software is a no-go in my opinion though. It will lead to another non-free platform like Windows or MacOS very fast and the advantages of open-source / free software will get lost. Kohrias I have arranged with proprietary games for the time being. Accepting all sorts of proprietary software is a no-go in my opinion though. It will lead to another non-free platform like Windows or MacOS very fast and the advantages of open-source / free software will get lost. Makes no sense, one does not preclude the other. If say Lightroom was ported to Linux that does not mean that darktable would cease to exist, if photoshop was ported that does not mean that Krita, Gimp, etc would vanish in a puff of smoke. In fact a lot of software ( Gimp and blender off the top of my head ) also manages to exist on non-free platforms. Guppy Makes no sense, one does not preclude the other. Agree. A lot of FOSS runs on windows too. This is very true, and it's actually a long term approach of how I get certain people to use Linux instead of Windows. I'm the unofficial IT guy of my family, and I installed Thunderbird, LibreOffice, Chrome/Firefox, VLC, Steam on their Windows 10 PC. Unfortunately, there's certain proprietary software that my mom just can't do her work without. It's the only reason the family desktop still has Windows.